Global Impact STEM Academy values project-based learning (PBL) as the most authentic means of assessment. Students are asked to solve real world issues, work through multiple levels of pedagogy, and present this information to peers and community members. Teachers work to design effective projects that integrate critical, complex reasoning to serve a purpose in students' daily lives. 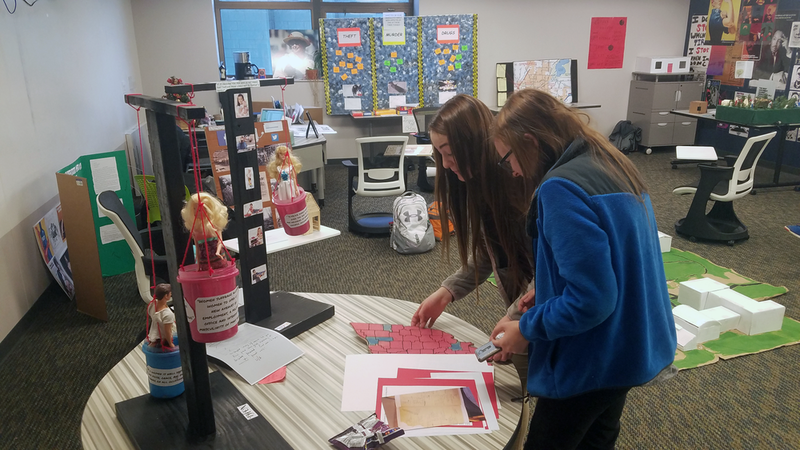 The completion of these projects and, more importantly, the reflection process, demonstrate a student's ability in content knowledge and skills. Create a podcast to inform the public on a certain issue. Write poetry and convey the meaning of humanity. Design a model thematic rollercoaster based on a time period or idea. Build an outdoor classroom experience in the GISA courtyard that centers around a topic of student choice. Create and perform an informative theatrical play on health and wellness. Demonstrate farm to table through a massive marble run. Choose a real world problem to investigate! Build a Rube Goldberg Machine or Pinball Machine that exemplifies potential energy! Present a creative piece to represent an element of Springfield's local history. Consult a YouTube channel with an extremely critical lens, then use this data to create one's own YouTube channel. Educate our community about freshwater scarcity in our world today. Create a watercolor representation of a specialized cell to feature the beauty and complexity of cell structure and function. Create a sustainable ecosystem to track interactions of organisms and matter and to conduct an experiment that simulates human influences on the environment. Develop, launch, and sustain a zero waste program that is implemented into Global Impact STEM Academy. "Fight the Menace of Lightning!" Represent the stereotypes that you are judged for and who you actually are as an individual. Create protest art to analyze dictatorial, malevolent government surveillance. Develop an instrument that produces sound solely through the means of gravity using re-purposed materials. Tell a story that demonstrates something that you want others to know. See how our stories shape and reflect our lives and how that message is translated to one ubicutous, monotone message through assimilation. Create a field game to sell that utilizes soybeans as a core material to promote our agribusiness partners. Explore and integrate scientific principles to design and maintain a hydroponics system in an "alien environment." Run a Presidential campaign from the primaries to the General Election based around the events and issues of 2016. Design and develop a comic book to demonstrate corruption in politics and/or bring light to an issue or perspective that is not often heard. Expo Nights are the major showcase of student learning taking place at Global Impact STEM Academy. 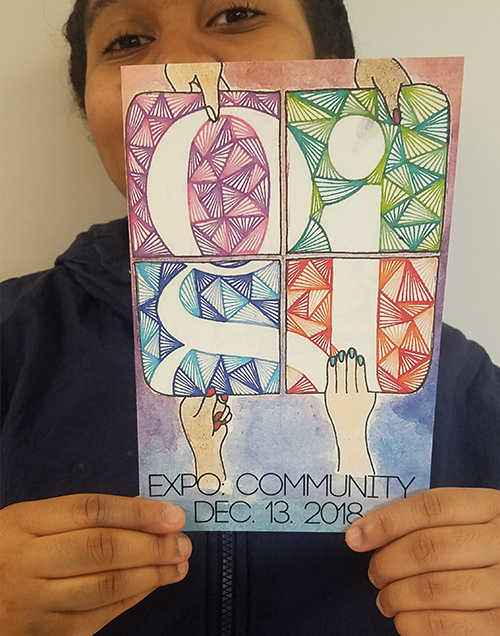 Occurring each semester, expo nights are designed to give students an authentic audience who offer constructive criticism to their projects completed in their coursework. Each expo night is themed around a concept which drives the entire event. We encourage all parents, family, and community members to attend.